Irish culture and traditions have played an important role in Newark since the Irish first came to the city in the mid-nineteenth century. Emigrating from Ireland due to the Potato Famine, and for the economic advancement and opportunity available in America, they settled in Newark (and similar cities) for its burgeoning industry and familial connections. While the makeup of the city has evolved over the last 150-plus years, there are still great spots in Newark and vicinity to enjoy Irish fare and savor the true Irish experience. As we celebrate March and St. Patrick’s Day, let’s “raise a pint” to some of the best establishments. 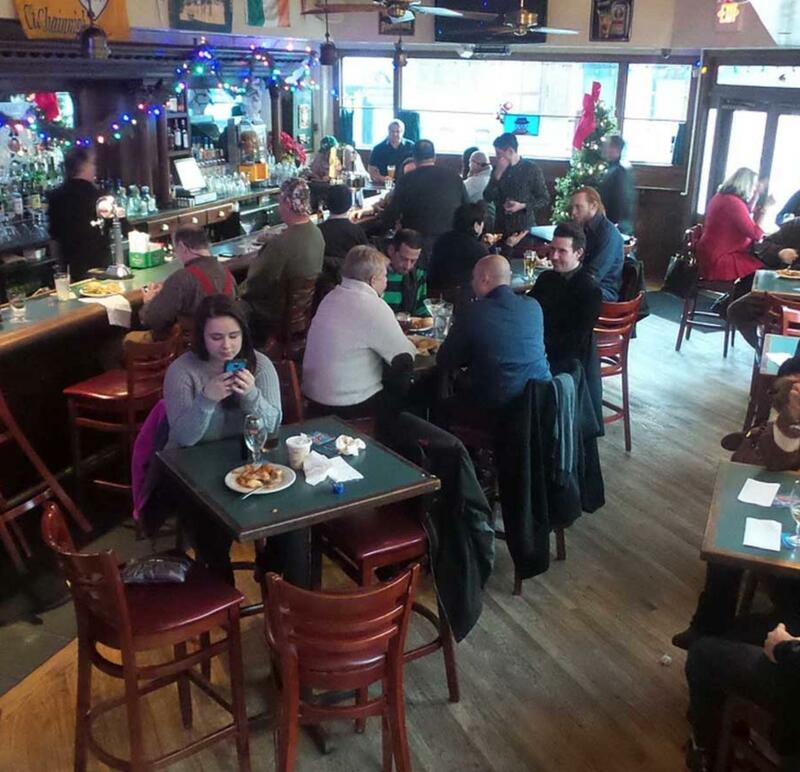 McGovern’s maintains its nostalgia, with an unassuming exterior and a welcoming interior. The menu is heavy on burgers, wraps and sandwiches. For an Irish specialty, try the “Dublin Decker” sandwich, comprised of corned beef, turkey, Swiss cheese, coleslaw and Russian dressing served on rye. The beer choices rotate between 12 taps, with the typical IPAs, seasonal brews and Irish favorites including Guinness, Harp and Smithwick’s. The drink specials feature beer mixtures such as “Black & Blue” (Blue Moon and Guinness) and “Apples & Oranges” (Magners and Blue Moon), and interestingly titled shots like “Cinnamon Toast Crunch” (Fireball & Rum Chata) and “Green Tea” (Jameson, Peach Schnapps and Sour Mix). Kilkenny Alehouse. 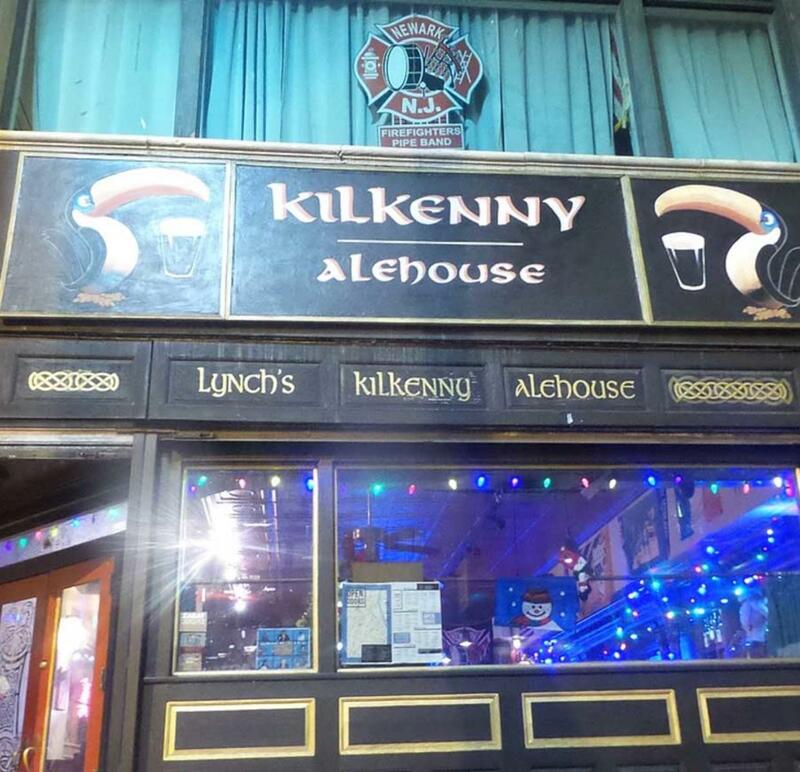 A true modern Irish pub, Kilkenny is located at 27 Central Avenue (corner of Central and Halsey). 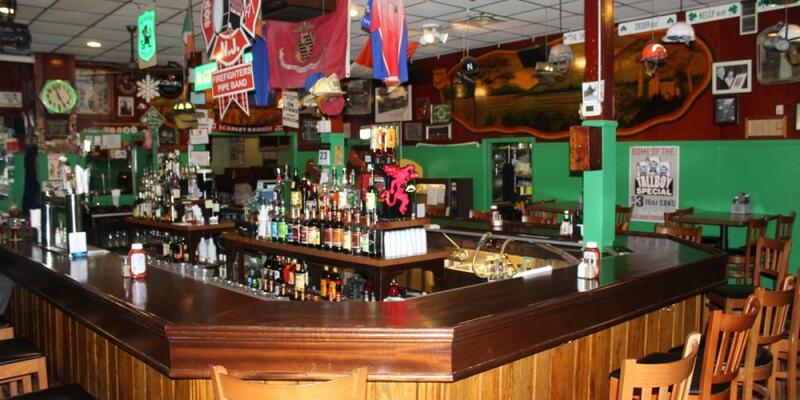 The alehouse is almost evenly split between an inviting, wood-themed bar area in the front and dining room in the back. Windows provide plenty of natural light, and a second story is reserved for parties. The beer list has a dozen rotating drafts, with craft brews from the likes of Brooklyn Brewery, Dogfish Head, Goose Island and Victory, and mainstays like Budweiser, Stella Artois, Yuengling, and Guinness. The owner is friendly and seems to remember all faces; after a chat, you may find the beer you’re drinking “on the house” or taste a little extra Baileys in your Irish coffee. The food is enterprising – think “gastropub” - and not intended simply to complement drinks. Appetizers feature items like drunken mussels (with white wine), braised short rib sliders, Kilkenny blarney spring rolls (corned beef, cabbage, potato & Swiss in a spring roll wrapper), and poutine (tater tots, cheese curds and brown gravy). Soups and salads provide abundant choice. Burger options come in beef, salmon, lamb and black bean. Irish specialties include an open-faced corned beef Reuben, shepherd’s pie and fish & chips. Nearby. 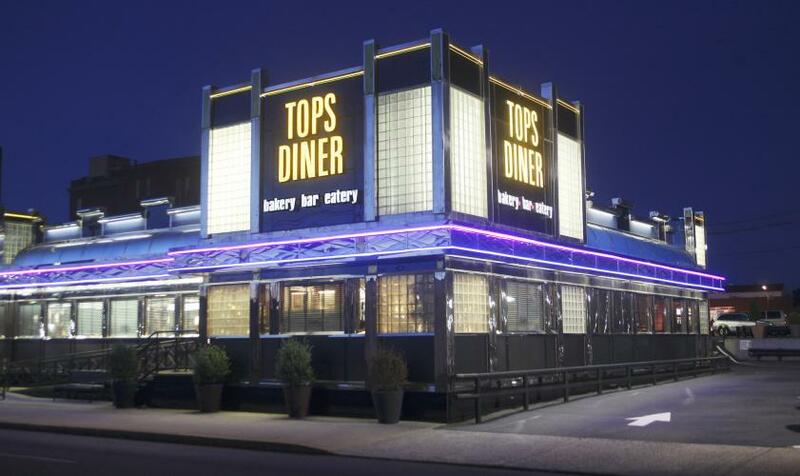 Right across the Passaic River, in East Newark, is one of the premier diners in New Jersey: TOPS Diner. Diners tend to serve all kinds of food, but TOPS also has a handful of dishes for your Irish fix. You will find corned beef hash & eggs, a corned beef Reuben, and a house favorite, Dublin’s Pot Roast. TOPS also has a liquor license and because it is a diner (where coffee is usually a staple) you can guarantee that its Irish coffee will be as good as it gets. A great continuing Irish tradition in Newark is the St. Patrick’s Day Parade, which will have its 82nd incarnation on Friday, March 17th at 1 pm. The historic Robert Treat Hotel at 50 Park Place is the official host hotel of the parade. Maize Restaurant inside the hotel should be a good bet to warm up with an Irish cocktail. Right across the street - within NJPAC - Nico’s Kitchen + Bar is also worth a visit on St. Patrick’s Day, with its extensive wine, beer and cocktail menu. March is a time for reflecting on Irish tradition and Newark is as fine a town as any to toast and celebrate the green, white and orange.